Please let us know what you think of our site and how it can be improved. It may not have all the bells and whistles, but hopefully it helps you clearly navigate the site. 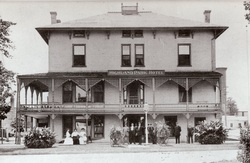 Please click on the picture of the Highland Park Hotel c. 1906 for a link to our email.